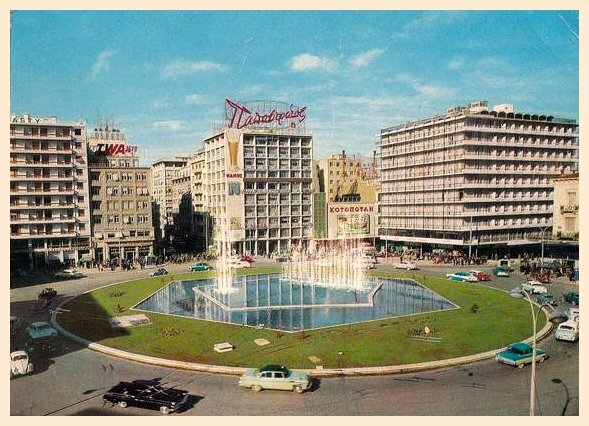 1960s view of Omonoia Square (Concord Square) in Athens – one of the many views of the site shared in this flickr. 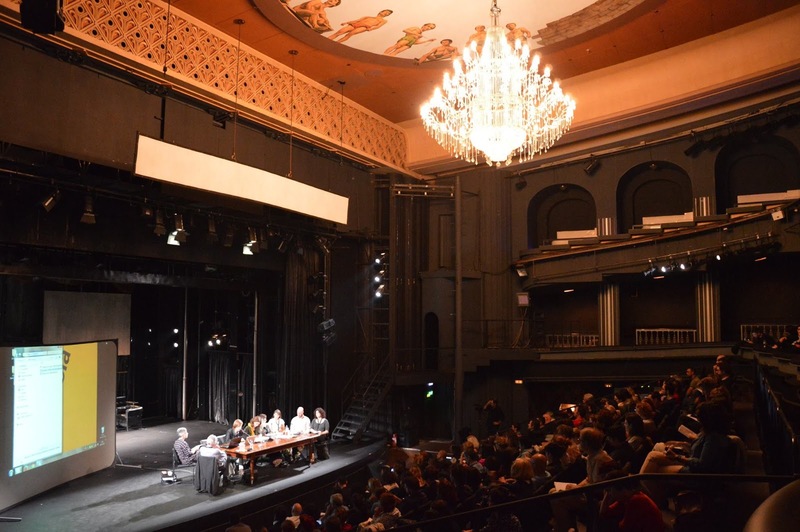 Latitudes will participate in one of the three panels that will comprise a two-day International Summit (18–19 November) that initiate the next two years of activities of the next edition of the Athens Biennale, titled “OMONOIA” (Concord). Intuitive towards the institution of biennales, the Athens Biennale intends to revise its identity and bridges the past with the present and the future by merging the fifth edition (2015) with the sixth (2017). The Summit is framed within the "Synapse 1: Introducing a laboratory for production post" the first synapse of what will be an ongoing series of events that will run over the next two years. The first day (18 November, 9:30–20h: National Theatre – New Rex, 48 Panepistimiou ) of the Summit will be organised under three panel discussions – Alternative Economies, The Performative in the Political, Rethinking Institutions. See the programme here. The second day (19 November 2015, 9:30–20h, Bageion, 18 Omonoia Square) will host a series of working group meetings between scholars, self-organised initiatives, cooperatives and activists as well as an open assembly that will summarise the proceedings and discuss potentials for the future. The aim of the Summit is to promote transnational knowledge-exchange and consider common grounds among academics, artists, activists and initiatives involved in practices of commoning, urban welfare and grassroots participation and kickstart the urban laboratory that the Athens Biennale aims to become for the next two years. Façade of Eastside Projects in Birmingham. Latitudes will lead a day-long session on November 15, one of the two-day self-reflective evaluation sessions that the Extra Special People (ESP) Associate scheme programme of Eastside Projects is organising under the title "Re-Imagining ESP II". Taking place during the weekend of the 14–15 November in Birmingham, UK, these two sessions are aimed at stimulating a conversation amongst the current members of the practice-led peer support network ESP in order to explore the possibility of them becoming active participants and even producers instead of receivers of predefined formats and contents. 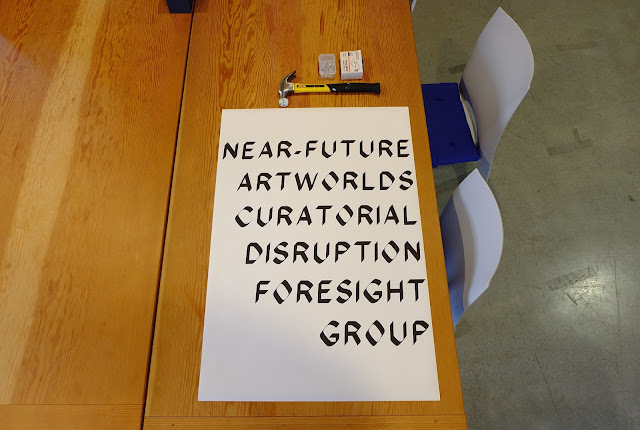 This will be the third iteration of the 'Near-Future Artworlds...' meetings (following those in Bari and San Francisco) – a forum for informal dialogue about megatrends and the future of contemporary art institutions. The first meeting in Bari broadly addressed to what degree organisational forms of art institutions are embracing or resisting similar transformations through various curatorial/editorial prototypes and prognosticative use-case scenarios. With an emphasis on cross-pollination between design thinking and curatorial thinking, the second meeting in San Francisco broached, among other things, the notion of the post-disciplinary, and the question of appropriate speeds or periodicities institutions should follow. Poster produced for the seminar by Kadist Art Foundation, San Francisco. In Birmingham, the session will collectively imagine a ‘What if?’ – a post-apocalyptic scenario in which an art ecology has to be regrown from the ground up. What would be most urgent in terms of organisation, facilities, tools? The second part of the meeting will involve a practical exercise modeled to prototype initiatives that might be best suited to Birmingham’s real or imagined artistic, economic and social context. In order to be conducive to freedom of interaction, these meetings are held under the Chatham House Rule. This allows participants to express personal views, to listen, reflect and gather insights with a clear distinction from the position of their employers and/or the policies of any associated organization. Participation is expected, but there will be no resolutions issued, no votes are undertaken, and no policy statements proposed. Archive photo of ESP activity. Courtesy: Eastside Projects. Extra Special People (ESP) is a practice-led peer support network organised by Eastside Projects that "works with artists, designers, curators and writers to support the development of work, ideas, connections and careers through a programme of events, opportunities, and projects. 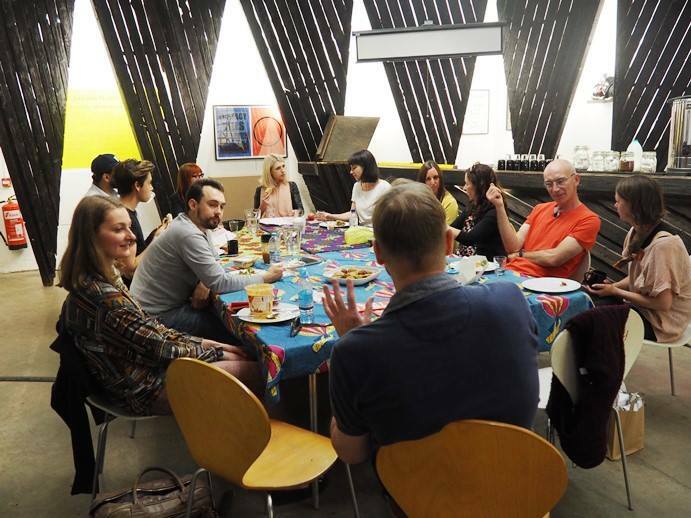 Members become active contributors to a practice-led peer support network and benefit from Eastside Projects’ experience of the contemporary art world and regional, national and international contacts." 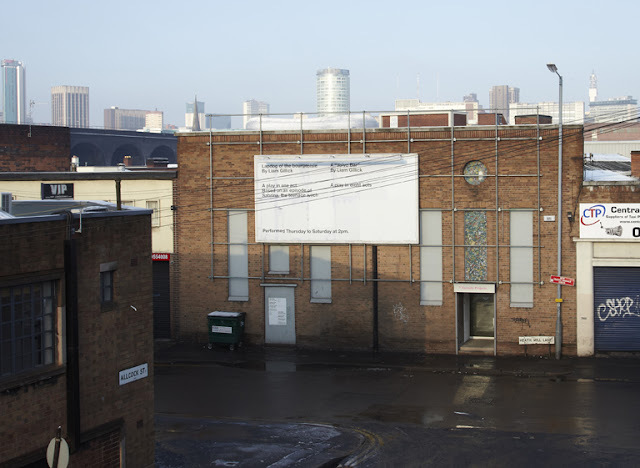 Eastside Projects is an "internationally renowned centre of excellence based in a free public gallery imagined and organized by artists, in partnership with Birmingham City University." Eastside Projects is an Arts Council England National Portfolio Organisation, supported by the Paul Hamlyn Foundation Breakthrough Fund 2010-14, and Esmée Fairbairn Foundation.